Soviet Union – Life moves pretty fast. Americans weren’t the only ones with dreams of going to the moon. In 1970, two years after NASA achieved that goal (no, I don’t think Stanley Kubrick directed it all from a film set), a book was published in the Soviet Union showing cosmonauts on a trip that was never to be realised. In the early 1970s, the Soviet Union built an amphibious airplane designed to skim the sea, searching for US nuclear submarines. It flew, but the Kremlin scuttled the Bartini Beriev VVA-14 after a prototype crashed, the designer died, and a supplier bungled an order. The one remaining plane rusts away in a field at the Russian Air Force Museum outside Moscow. That ill-fated plane is among 33 Soviet-era relics that Danila Tkachenko photographed for his series and photo book Restricted Areas. 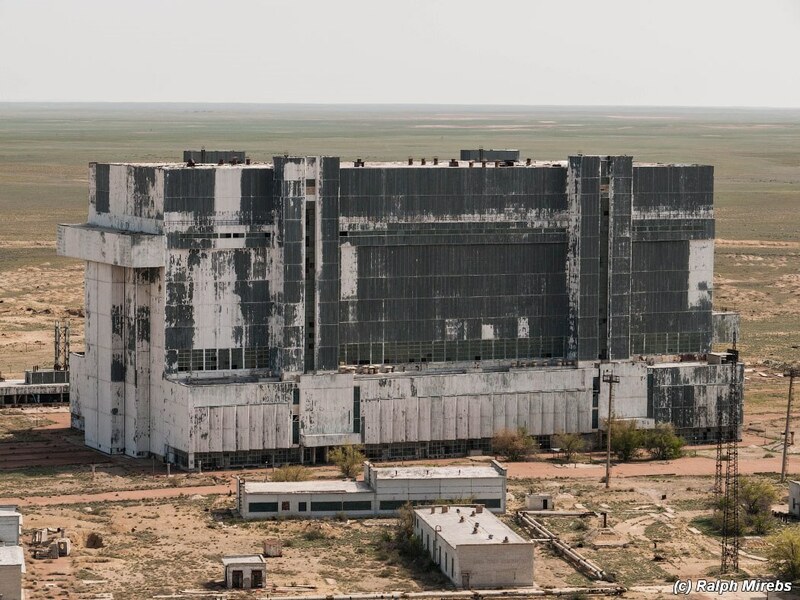 Many see them as monuments to the Cold War, a reminder of a time when the world lived under the threat of annihilation. But Tkachenko sees the Soviet Union’s aspirations and failures, and a rejection of the pursuit of political and technological utopias. “My project is a metaphor [for] post-technology apocalypse,” he says. The series takes its name from the dozens of “secret” cities that housed the government’s most sensitive military and scientific programs. These cities were closed to all but the people who worked in them, and visits required approval from the highest levels. Many of them still stand today, abandoned and falling into ruin. The Venera 7 was the first spacecraft to successfully land on another planet and transmit data back to Earth. It set off from Earth on 17 August 1970, and it landed on 15 December 1970. And it’s still there now, branded CCCP for all eternity to represent the Soviet Union, which of course no longer exists. If ever there was a metaphor to check human hubris, this surely is it. 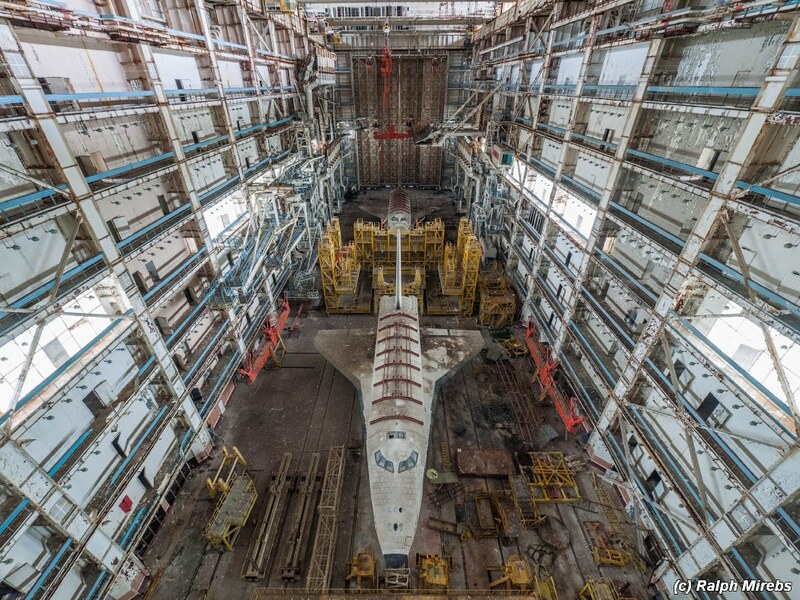 Russian photographer, Ralph Mirebs, managed to get inside an abandoned hangar at the Baikonur Cosmodrome, where two Buran space shuttles of the Soviet space program have been left to slowly decay. Visit Ralph Mirebs’ LiveJournal page for more images. See Wikipedia for more on the Buran (spacecraft). 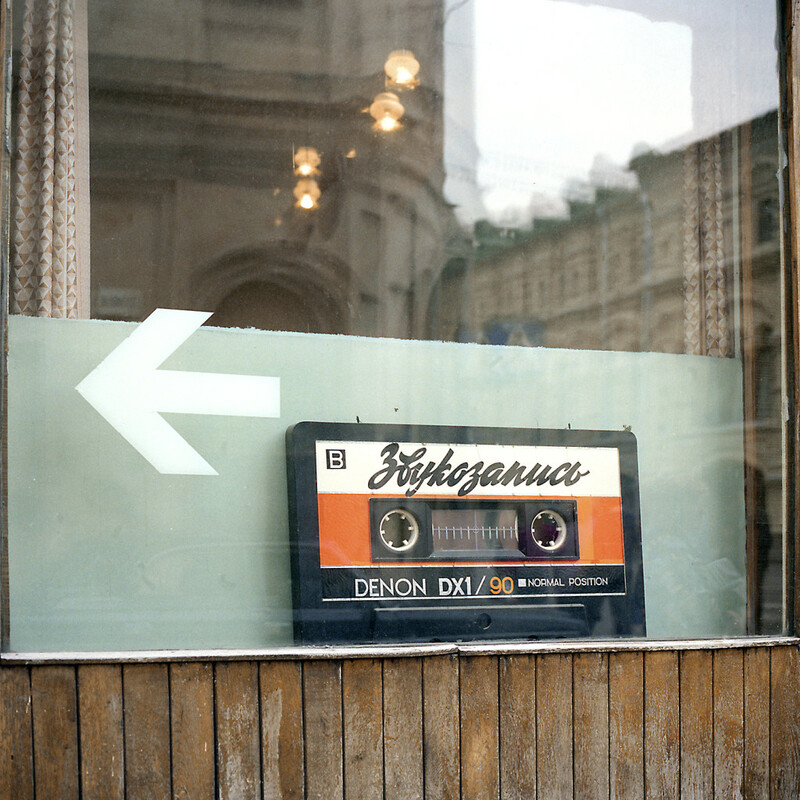 Walking around cities like Prague and Krakow in the late 1980s, American David Hlynsky was struck by the lack of advertising on the streets. Instead of Pepsi and the Marlboro man, shop windows displayed scant offerings of everyday items like bread or plumbing supplies. The lack of frivolity fascinated him. “In the dying days of the Cold War, I saw these windows as a vast ad hoc museum of a great failing utopia,” Hlynsky writes. He documented the crumbling aesthetic in 450 windows across the Soviet Union and the Eastern Bloc. 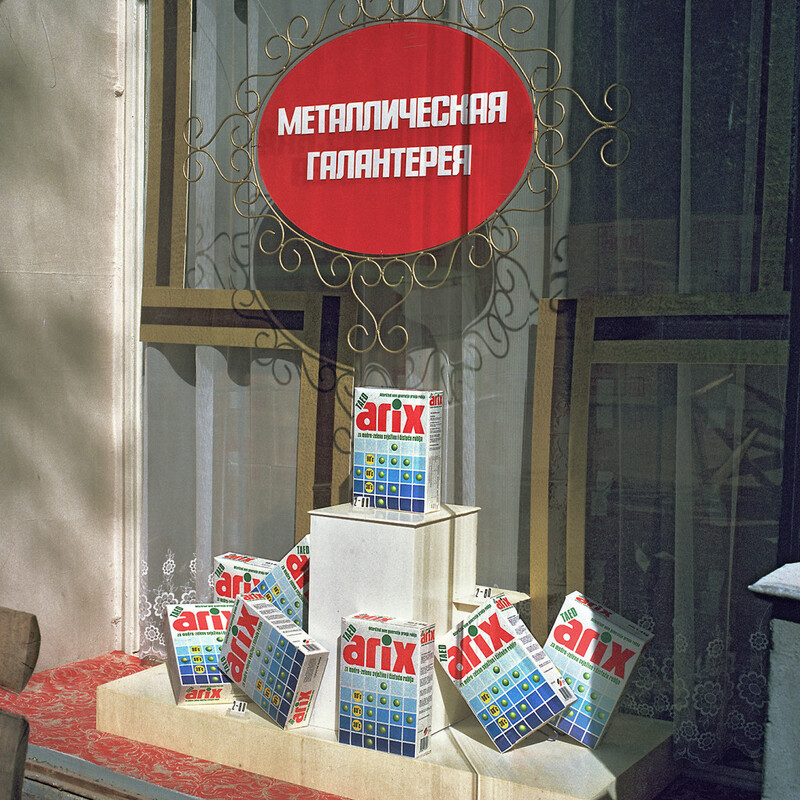 A portion of his work recently was published in Window-Shopping Through the Iron Curtain. 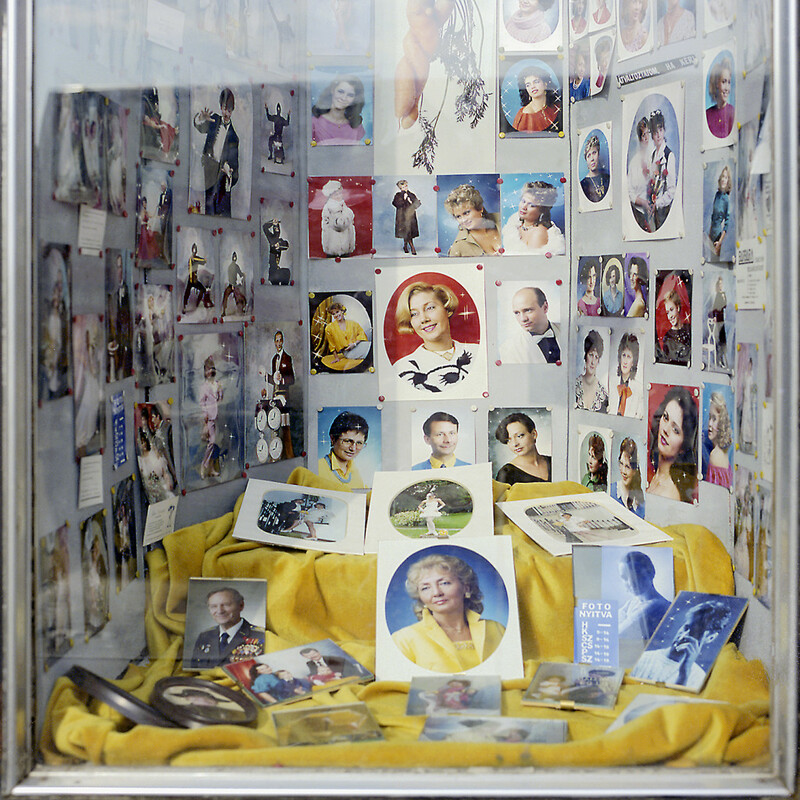 His photos capture a world on the brink of collapse, one in which a strange blend of Communism and consumerism converge. Right now, there are about 1,100 satellites whizzing above our heads performing various functions like observation, communication, and spying. There are roughly another 2,600 doing nothing, as they died or were turned off a long time ago. How did each of these satellites get up there? And what nations are responsible for sending up the bulk of them? The answers come in the form of this bewitching visualization of satellite launches from 1957 – the year Russia debuted Sputnik 1 – to the present day. (The animation starts at 2:10; be sure to watch in HD.) 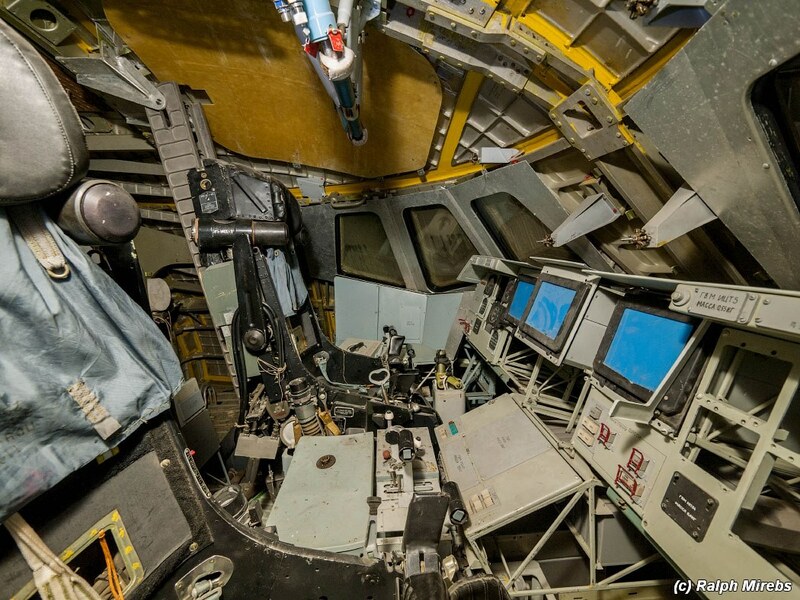 Launch sites pop up as yellow circles as the years roll by, sending rockets, represented as individual lines, flying into space with one or more satellites aboard.